HomeQuoteDirect are one of the UK’s leading insurance intermediaries based in Tolworth, KT6. 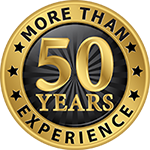 Established in 1965, we have over 40 years experience of providing quality Home Insurance cover at very competitive prices. In addition to providing excellent low cost Home Insurance we also offer Car Insurance, Motorcycle Insurance, Van Insurance and Commercial risks including Property, Liability and Vehicle Fleets for any size of business. Our quick and easy online quotation system is available 24 hours a day 7 days a week, providing you with instant quotes and immediate cover. However, should you need to contact us our highly trained customer service team will be pleased to help. Our office opening hours are Monday to Friday 9am-6pm and Saturday 9am-4.30pm. You can call us on 0800 58 11 03.